Baptist doctrine is a reference to the teachings of the Baptist Church. For many churches affiliated with the National Baptist Convention, USA, Inc,and other Baptist bodies, the Church Covenant and Baptist Articles of Faith are authoritative doctrinal documents. On this page you will find links to the text of these doctrinal statements and my teaching notes on them. It is a good practice for every Baptist to review their doctrinal statements at least annually, so their Baptist identification is not reduced to worship style or simply the name on the building. I. As for the Church Covenant, this is a Baptist doctrine document that is essentially a renewal of vows among the members of the church to walk together in Christian love and maturity. The exact text may vary from church to church; however, the essence is the same. Church Covenant: Text with Scripture Here you find the text of the Church Covenant that we recite every first Sunday at our church. This link also includes scriptural support for each paragraph. The Church Covenant is a Bible based covenant or agreement among the members of a given church. Church Covenant: Teaching One Here you find my teaching notes on the first paragraph of the Church Covenant. Scriptures are reviewed and practical pointers are given about issues like who enters the covenant, with whom is the covenant entered into, and God being our witness. Church Covenant: Teaching Two Here you find my teaching notes on the second and third paragraphs of the Church Covenant. Scriptures are reviewed and practical pointers are given about issues like “walking together in Christian love,” giving as God has given to you, and diligently studying God’s word. Church Covenant: Teaching Three Here you find my teaching notes on the fourth paragraph of the Church Covenant. Scriptures are reviewed and practical pointers are given about issues like building one another up, cultivating Christian courtesy, and being easy to get along with. Church Covenant: Teaching Four Here you find my teaching notes on the fifth paragraph of the Church Covenant. Scriptures are reviewed and practical pointers are given about issues like securing a letter before you leave your church and the three W's to look for in a church - Word, work, and warmth. II. As for the Baptist Articles of Faith, these are twenty four statements about issues that are rather significant Baptist Doctrine. Baptist Articles of Faith: First Eight Articles with Scriptures Here you will find the text of the first eight Baptist Articles of Faith with scriptural supports. The following teachings provide scriptural reviews and practical pointers on living by the various articles. Baptist Articles of Faith: Second Eight Articles with Scriptures Here you will find the text of the second eight Baptist Articles of Faith with scriptural supports. The following teachings provide scriptural reviews and practical pointers on living by the various articles. 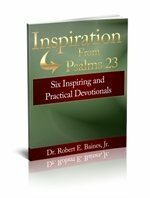 Baptist Articles of Faith: Third Eight Articles with Scriptures Here you will find the text of the third eight Baptist Articles of Faith with scriptural supports. The following teachings provide scriptural reviews and practical pointers on living by the various articles.